This turmeric fat burning coffee recipe is from my wife Angel, who loves to make food, home and body care recipes that support people’s journey to optimal health. Check out my wife’s website and facebook page where she shares stories and pics about our life. This fat burning coffee recipe will help you get into ketosis, burn fat and reduce inflammation quickly! For many people, this is their breakfast…as the good fats help to provide satiety and the combo helps to balance blood sugar, increase energy and improve mental output. Mmmmm…coffee! I love the smell and the flavor but went 15 years without it because I thought it couldn’t be a part of a healthy lifestyle. Now, I know that unless someone has extreme adrenal fatigue or a major sensitivity to coffee that it can be used to improve fat burning and overall mental performance. How does this recipe combo work to be so effective? Coffee is rich in the polyphenolic anti-oxidants chlorogenic and caffeic acid that help to improve circulation and stabilize blood sugar. Cinnamon helps to improve insulin sensitivity and turmeric inhibits the major inflammatory NfKb pathway. The grass-fed butter is rich in small chain fats such as butyrate and omega-3 fatty acids which de-inflame the body and it contains the fat soluble anti-oxidants vitamin A, D, E and K2 as well as phospholipids for healthy brain function. Finally, the XCT oil helps to boost up the production of ketones very quickly in the body which helps to stabilize blood sugar and improve brain cell formation. The combination is extraordinary and the taste is amazing! Try it out and let us know what you think in the comments box below! Yes for sure Paul, that is why we only recommend natural sweeteners such as stevia! Paul, some artificial sweeteners are bad for you I agree as the FDA made the companies like Sorbitol and Aspartame put warnings on their licensed products. Stevia comes from a plant, you can even grow your own and make it yourself, my friend does this to eliminate the processing and costs. 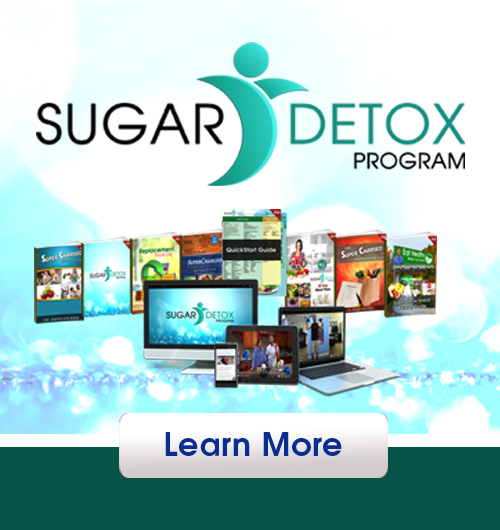 Xylitol is recognized by the dental association and has been around for more than 50 years with no side effects, it also is natural and comes from the sap in hardwood trees. Honey and maple syrup are also safe sweeteners you can use liberally in anything but beware of the calories, they are higher than regular sugars. I discovered a pinch of baking soda added to my coffee in the filter before brewing creates a perfectly smooth alkaline brew. No acidity. Jen, I also found some coffees like Starbucks and Tim Hortons to be very acidic…I thought it was just because they let the coffee sit or brew too long. Not the case since Starbucks now brews fresh every cup…it has to do with the quality of the bean and also if it is truly organic. I am a coffee connoisseur and have tried many brands over the years. Cain’s Coffee is not that acidic. I can handle it fine. I cannot handle the other brands like Folgers, Starbucks etc. It is my understanding that your stomach is supposed to be acidic. Low acid causes acid reflux and other digestive problems. Blood is alkaline so if you’re not injecting it you should be fine:) I finally listened to my mother’s tips and stopped taking antacids years ago. I take organic apple cider vinegar for digestive problems. Is ths true? Cause it seems to be the opposite for my body. The more acidic my stomach – the more I have acid reflux and other digestive problems. I drink a low acid coffee. I cannot eat foods that are high acidic. Apple cider vinegar seemed to eat my stomach. At least that is what it felt like. I still have to take the purple pill at night to keep the acid reflux down. Help? Taking PPIs and antacids will make the problem worse over time so you may consider working with someone on this! If acidic things make you feel worse then I would look into functional lab testing for hidden infections and intestinal permeability. Wouldn’t the addition of black pepper make the tumeric more bioavailable, or is adding the medium chain fatty acids, such as coconut oil, enough? Great question Nancy! Peperine, which is the active nutrient in black pepper can help with curcumin absorption, but it can also aggravate some individuals with leaky gut. There is debate in the field on this. If you tolerate it well, than adding a pinch of black pepper may help you. The MOST IMPORTANT thing with turmeric/curcumin absorption is having it with fat…such as the grass-fed butter and MCT. Any grass fed butter Ok? I can only get the Kerrygold brand where I live. I’m using “Melt”, it has no dairy and made with coconut, flax seed and sunflower oils for I can not even find grass-fed butter in the supermarkets here in Canada. It’s a great dairy-free spread in place of butter. Thanks for sharing Debbi! You could probably also order Ghee through an online store such as amazon! I love this coffee recipe. I think I will make it apart of my morning routine. Yummy! I have a question that’s a little off topic. I hope you can help me. 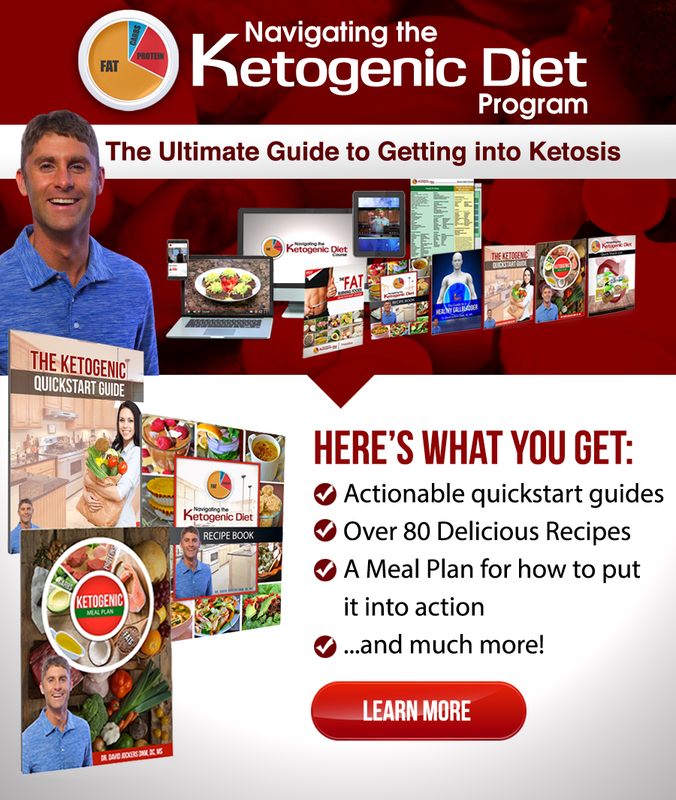 I’ve been trying to fight brain cancer with the Ketogenic diet. What should my macros and calorie intake be? I’m glad you are enjoying it so much! You can also email nutrition@drjockers.com to set up a consolation for a personalized plan of action. Would love to try this – I use turmeric in my green tea. Trying to save my gallbladder, any suggestions? If you are experiencing gallbladder issues then it may be a better idea for you remove the butter in this recipe and use just the XCT oil for the time being. In the meantime follow some of these strategies to aid in your gallbladder healing (here). This is surprisingly yummy!!! Questions…I count my daily calories along with my macros, currently, could you provide the carb, protein, fat amounts in this recipe. Sorry Tammie I don’t keep track of those values! Following this recipe your only macro will be fat from the butter and XCT oil. You could simply measure the amount of butter and oil you use based on the nutrition label and estimate the fat content of this recipe! If you have this for breakfast I’m assuming this begins your eating window and would break the fast? Hey Krista great question! Technically you would be breaking your fast. Since this recipe’s only macronutrient is fat (no protein or carbs), your body will not have an insulin response. 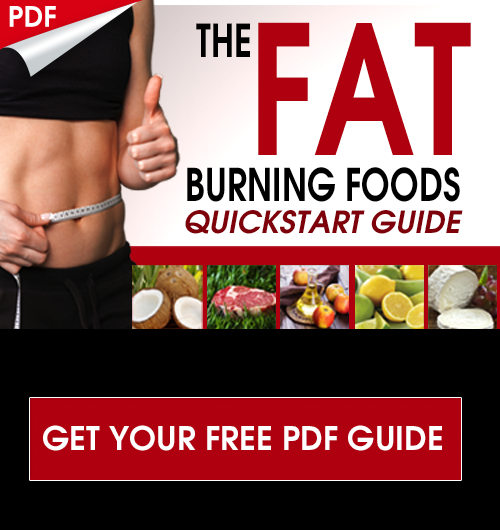 This means your body will still receive the metabolic benefits of fasting and you will burn more fat. Did you mean “wouldn’t” be breaking the the fast? No Jeff, It would be breaking the fast so you would lose some benefits of strict water fasting but without an insulin response you would still be receiving some fasting benefits. Some people struggle with the feeling of being hungry while fasting and will take the trade-off. If you want a combination of both, this for breakfast during the week and perform a 24 hour water fast from dinner Saturday night to dinner sunday night. I enjoyed reading everything… thank you so much….. Thank you for reading Nancey! Is it fine if i dnt include stevia, vanilla n salt in my drink. Yes Sumadhi that is okay. You do not have to add those! Can you use ghee instead of butter? I have a dairy sensitivity but so far I have been ok with ghee. Or what do you recommend as a dairy free version? Yes Anna! Most people with dairy sensitivities do well with Ghee because the milk proteins are removed. Thanks, I’m definitely going to try this coffee in the morning and like idea of adding turmeric and cinnamon, but I might cut out the dairy products as I’ve been trying to do the Low carb high fat plan but my cholesterol has gone sky high and doctor is saying I have to go on statins! Any advice you could give me would be much appreciated. Hey Rita, certain cholesterol numbers often become elevated when switching to a high fat diet. It is important to look at the ratios between HDL, LDL, and Triglycerides. Sometimes an extreme elevation can be due to inflammation, infection, or blood sugar imbalance. Rita, it’s best not to do labs until after 6 months on keto. My labs are better than ever in all areas. I’ve completely changed my doctor’s view of keto. Hey Leslie, great to hear about your results! I do think you can do labs before 6 months…typically 90 days is a good period of time to begin to see changes. I will give this a try without the Stevia and salt. Thank you for sharing the recipe. Hi I’m wondering how much and how often should I drink this coffee per day? And whether I use it to replace a meal or meals? Hey Eleanor, you could replace your breakfast with this coffee to support ketosis. For most people I do not recommend more than 1-2 cups of coffee per day! Is this still beneficial if you’re not adhering to a ketos diet? High amounts of carbs and fats on the diet are not recommended but if you use this as a breakfast replacement and hold off on consuming your first meal until later in the day then this can still be great! Looking forward to trying this coffee. Yes it is awesome! You will love it! I usually drink decaf coffee….will that work with this recipe or does it have to be full caff? Thank you. You can do decaf Teresa! There are some metabolism boosting properties of caffeine however decaf will still provide benefits. Sounds like an awesome recipe! Will give it a try tomorrow. I’m currently doing mct, collagen, cinammon, grass fed butter and maca powder ( +ashwadanga and mushrooms). If I’m trying to remain in a fasted state, will the maca and collagen take me out of this? Where do we get the grass fed butter, vanilla stevia and XCT oil !?? Hey Jacquelyn, low fat and low salt are not the solution for cholesterol and blood pressure in my experience. Balancing blood sugar and lowering inflammation are more important which can be done very well with a ketogenic diet (high-fat). Can this be reheated once it’s made? Also, any specific tumeric to use? Thanks! I have not done so but it should be okay Karen! You may need to re-blend it to keep the fats emulsified. I just use an Organic turmeric powder that can be found in the spice section of most grocery stores! I have turmeric essential oil. Do you know how many drops to use to substitute the powder? Probably just 1 or 2 Lisa! I’m starting Keto today. I didn’t blend anything I just put it in my contigo cup and shake it before every drink. Is it important to blend? Also I was looking into an egg fast. Am I ok to still drink this with my egg fast? Hey April, blending just gives it a more desirable consistency to most people! You should be fine combining it with your eggs! What could you substitute the coffee with and get the same/similar results? Hey Nicole you could do matcha, decaf, or an alternative such as this: https://drjockers.com/dandelion-coffee/ adding in the other ingredients from this recipe of course! I enrolled in the Keto Summit and purchased it because of the mass of information that I could not keep up with during that week. I have begun to watch the videos however I have a question that I have not found a complete answer to. My question is this…Is Keto safe, and is it effective if your gall bladder has been removed? I had mine taken out 25 years ago. The only thing my doctor told me at the time was to avoid carbonated drinks. I can add vital protein collagen peptides to this and still get the same results? Yes that should be no problem Annette! I love the taste of this. I take several supplements and tumeric is one of those. I am 50 years old, recovering from a recent hip scope with numerous procedures done. I picked up 4 pounds of weight in my waist area, and I am limited in my workouts until my labrum heals. I am going to continue this for awhile. Thank you. Awesome Betty, praying for quick and thorough healing! Is it possible to use tea instead of coffee to get the same results? Yes definitely Terrie! You can try it with matcha or dandelion tea! I’m having trouble getting the cinnamon to dissolve. I get left with gritty cinnamon at the end. Is there a way to fix it? I’m using a glass blender. You could use cinnamon essential oil as long as it is pure Mary! Is this recipe for caffeinated coffee or can one use decaf? Either is just fine Kathy! U have low blood pressure. Will this drink make my blood pressure go even lower? I haven’t tried Angela! I am not sure how it would work with the fats in it. If you try it let me know how it turns out! Yes, wait 30 mins after taking the meds and it will be just fine! Thanks for the recipe. I just want to know if it is ok for kids to have it for breakfast? Me and my husband have it everyday but don’t know if it is ok for kids. Our family mainly follow a banting diet. I don’t recommend coffee for kids! Agree, they drink rooibostee so we will make it for them with rooibostee. Yes try it out and let us know how you like it!